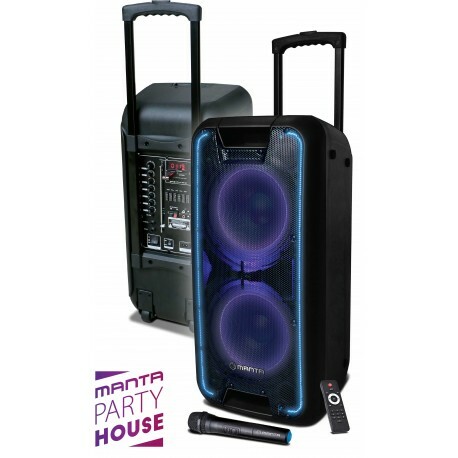 Manta SPK5027 Nerio Karaoke Power Audio features an outstanding power output of 5,000 PMPO / 80W (RMS), 10-inch woofer x 2 / a tweeter. 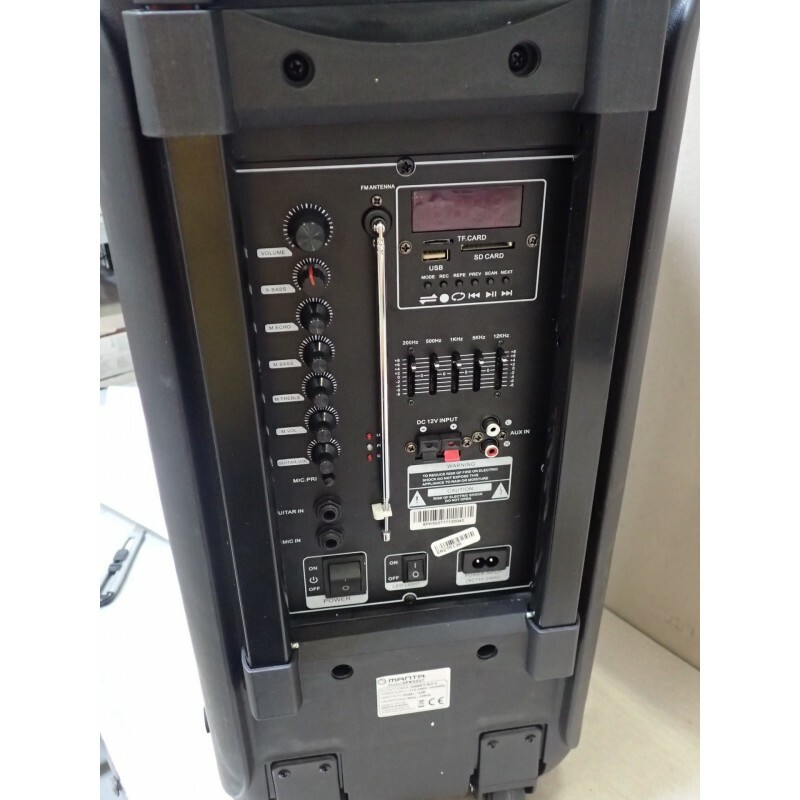 The unit has a bandwidth of 40Hz-20Hz and a sensitivity rating of 93dB+/-3dB. 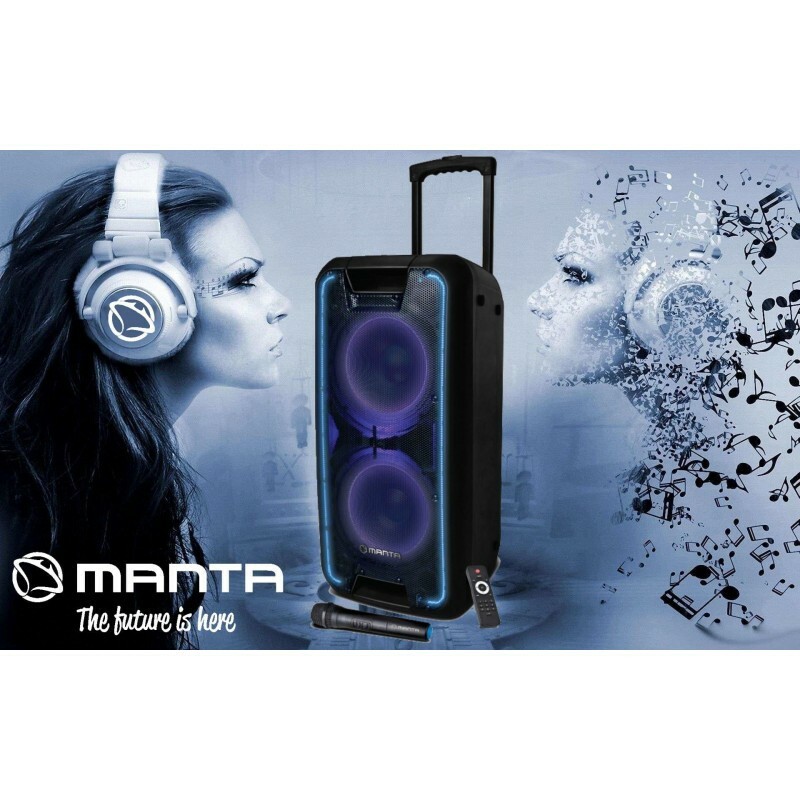 It’s noteworthy that the loudspeaker is based on the 2.0 Bluetooth technology allowing you to play music over a wireless connection. 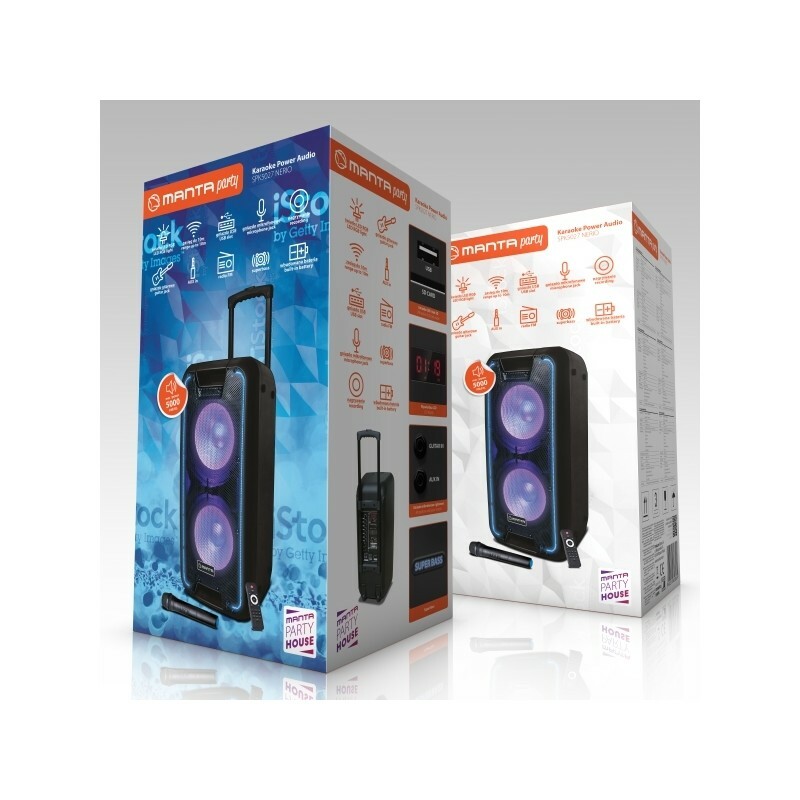 In addition, the unit is equipped with the following sockets: 1xUSB/1xSD/1xTF/1xMic/1xGuitar/1xAUX.